We’re getting smarter about food — checking labels, researching their effects on our bodies and sharing our discoveries — always trying to get the most benefit out of each calorie. 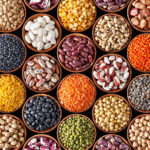 This collective effort has led to the rise of superfoods: fruits, vegetables and grains that provide an abundance of essential nutrients, offer dietary variety and flexibility, and serve as healthy alternatives for vegetarians and people with food sensitivities. Let’s take a closer look at five superfoods you should add to your grocery list in 2017, with the help of Susannah Covey, a registered dietitian at OhioHealth McConnell Heart Health Center. Much more than a crummy holiday pottery gift, “Chia seeds are actually an extraordinarily nutrient-dense superfood,” says Covey. 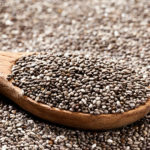 “Chia is high in Omega 3 fatty acids, which can lower triglycerides. They’re also high in fiber. 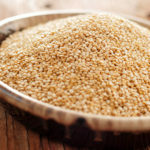 Two tablespoons of chia have 9 grams.” Chia is gluten-free, too. You can eat them whole, or as a garnish on salads and cereal. And if you soak them in water for 30 minutes, the seeds form a gel that you can add to yogurts and smoothies, or use as an egg substitute in recipes. The tart, crunchy seeds, or arils, of a pomegranate are considered one of the world’s leading sources of antioxidants, which are thought to prevent cell damage and inhibit disease. 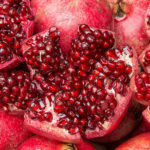 “Pomegranate is also a good source of fiber, vitamin C and potassium,” says Covey, “helping you lower cholesterol and manage blood pressure.” You can find ready-to-eat pomegranate seeds at your local supermarket, but with a sharp knife, an online video tutorial and a little courage, you can enjoy a healthy snack and save some cash. 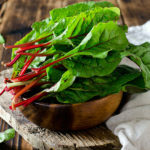 You can find tips on healthy food choices and a host of healthy recipes in the Nutrition section of the OhioHealth Blog.